Binaural beats are an exciting and safe alternative for easing sleep disorders and helping you get the rest you so desperately need. With thousands of people suffering from insomnia, there are always new sleep aids being sought, especially those which can help to encourage rest without hampering the ability function during the day, as traditional sleeping pills do. One of those natural alternatives is the retraining of brain waves. The science behind this approach is quite simple. The brain operates on a number of different frequencies, depending on your current state. 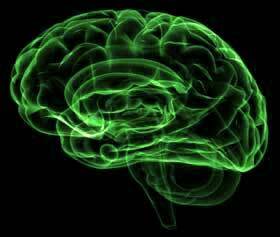 When you are awake and active, your brain is generally operating on the gamma or beta frequency. These frequencies help to stimulate concentration and problem solving and can affect cognition and feelings of arousal. As we enter into more relaxed states, our brains convert to alpha, theta and delta frequencies. With each change of frequency comes a deeper state of relaxation. Delta is the lowest frequency of all, achieved when we are in the deepest level of sleep. For some people, the stress of daily living can result in an over stimulation of brain frequency, preventing the brain from naturally slipping into a more relaxed state. The use of binaural beats can help with brain entrainment to relax and facilitate the ability to fall asleep. Using this kind of technique to retrain the brain has proven to be quite effective in combating insomnia and is particularly appealing to those who prefer to avoid using drugs. With auditory techniques there is no need for external forms of sedation in order to achieve relaxation. A relaxed state can be achieved naturally and because there is no narcotic effect there are also no side effects such as sluggishness, lack of energy and impaired concentration. So exactly what are binaural beats? Simply put, they are achieved by directing two slightly different frequencies to the brain at the same time, one through each ear. As the ears process the different frequencies they are blended in the brain to produce a single frequency which realigns the brain and alters its state to encourage relaxation. Basically, you are taking your over stimulated brain and teaching it to relax all over again. This realignment of the brain waves can be accompanied by other auditory stimulation such as soft music or natural sounds to further encourage relaxation. The technique can also be used as part of a meditation routine, to heighten the calming effect. There are a number of different products on the market today which use this technique to help those suffering from insomnia and other sleep disorders. Because the use of binaural beats to reach delta frequency is so simple, it can be done almost anywhere. All that is needed is an audio device… everything from an MP3 player or iPod to a PC will work… and a good pair of headphones. Using specially designed recordings which include binaural beats, your brain can be gently lulled into total relaxation. Individuals who have tried this technique have said they find it easier to fall asleep and awaken feeling more rested and refreshed. SleepTracks is one of the most popular brainwave entrainment programs available. You can take a short quiz and watch a video to learn more about using this technique on the SleepTracks website. If you have difficulty falling asleep or are not getting proper rest and you don’t like the idea of relying on sleeping pills, you might want to consider using brain entrainment with binaural beats. This safe, gentle, natural relaxation technique can help you to eliminate stress and get to sleep without the dangerous side effects of drugs. Don’t feel that sleeping pills are your only answer, do your homework and consider all the options and see if audio therapy can’t put you back on the right wave for getting a good night’s sleep.